We're not sure where Ghoulish Productions got the idea for this mask. It looks like it came from the 9th circle of the underworld! We are, however, sure about how terrifying this thing is (and we've seen a lot of scary things in our day). Fiendish costumes come through our office every single day and we barely even flinch (we've gotten a little desensitized), but this number? Some of us are still freaked out by it. Then we found out that it was for kids and we decided it was ten times worse. This thing is going to be the bane of every parent on the block on Halloween night. This Deadly Silence mask is gruesome and will make parents shriek in fear at the mere sight of it. 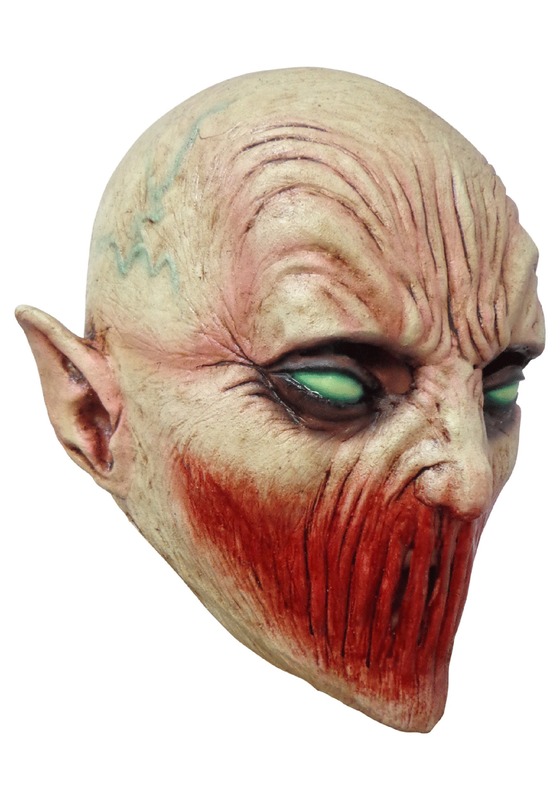 This molded latex mask depicts some kind of ghoulish fiend with piercing evil eyes and a mouth that's melded shut. Even real ghouls and goblins won't be able to stand the sight of your kid running around in this grotesque mask. And your kid? Well, we imagine they'll love inspiring that kind of terror.